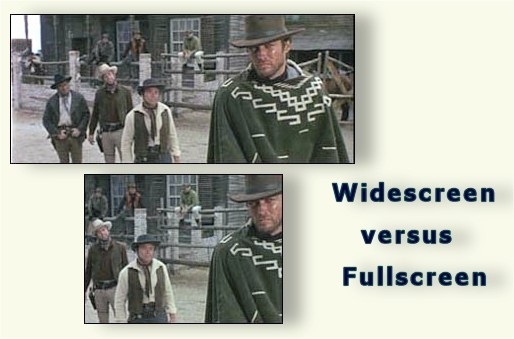 All Widescreen content is created normally to look correct for 16:9 ratio All 4:3 Full Screen content is reduced in size to look correct when played on a widescreen and encoded with black pillars on each side to fit. All Widescreen content is cropped on the sides and reduced to fit into a full screen playback using pan and scan. All 4:3 Full Screen content is created normally to look correct for 4:3 ratio.